*This is just so good - fans of early/woozy Hype Williams take note* A little-known duo operating out of Lisbon, Yong Yong are a welcome addition to the hazy tape-music scene, and this debut full-length makes a great case for their clunky lo-fi drawl. Comparisons to London weirdos Hype Williams will no doubt come thick and fast, but Yong Yong’s sound is somehow more worldly, and dare we say it even more far spannered than Blunt and Copeland’s abstract take on bass music. The fact that Yong Yong are able to bounce from the low slung beats and jarring autotuned vocals of ‘Spray’ one minute to the minimalist, cavernous darkwave electronics of ‘Track 3’ is a testament to the duo’s skill and also their resolve. 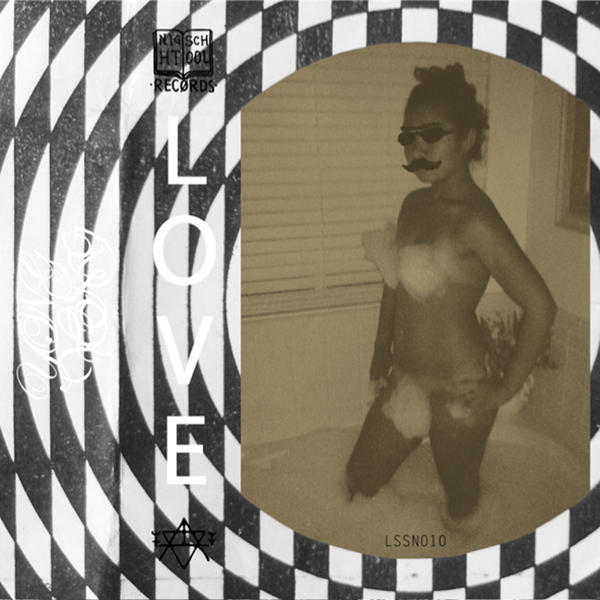 ‘Love’ isn’t a short record, but in its hour-long duration it never fails to capture the imagination, pulling us through dusty, corroded clouds of house, drone, noise, sludgy rap and f*ck knows what else without a care in the world, never getting wrong-footed by its own breadth of ideas. Like a dangerous collision between near-forgotten Fonal prodigies Paavoharju and the distorted synth-led stylings of 1991, Yong Yong have proved you don’t need all the fixins to emerge with a record that frankly we just don't want to stop listening to.